Credit And DTI Guidelines On Conventional Loans have tighter mortgage lending requirements compared to FHA loan mortgage programs. Cases where home buyers should benefit with FHA Loans and NOT Conventional Loans is when they are purchase a multi-unit home as their primary residence. This is a case where a home buyer with excellent credit and income will benefit with FHA Loans and NOT Conventional Loans. 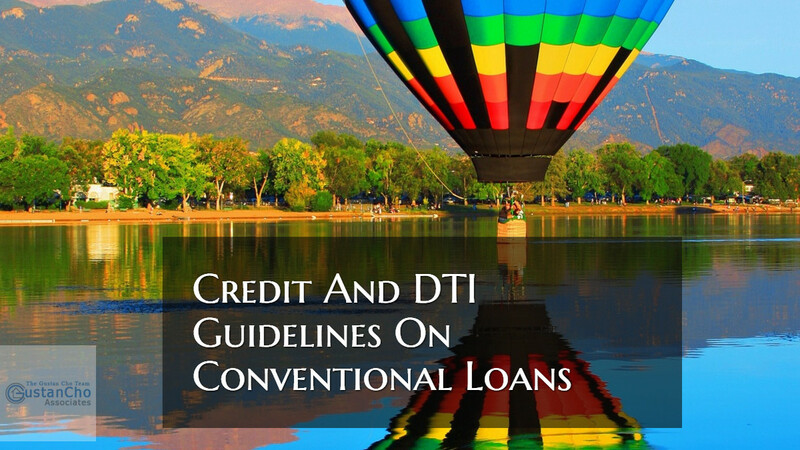 New Credit And DTI Guidelines On Conventional Loans has been increased effective January 2019 by the FHFA. Changes have been implemented in 2019 for New Credit And DTI Guidelines On Conventional Loans as well as FHA Loans. Conforming Loans Limits got increased to $484,350 effective January 1st, 2019. There are strict mortgage guidelines on credit disputes during mortgage process. Credit disputes: Credit disputes applies to both FHA loans, USDA Loans, VA Loans, and Conventional loans. As mentioned earlier, the FHA Back To Work Extenuating Circumstances Due To An Economic Event Loan Program turned out to be a total flop. One of the major disadvantages of FHA loans is due to the hefty mortgage insurance premium. Conventional loan programs require a minimum credit score of 620 FICO. There are cases where a conventional loan versus FHA loan is the only option. Home Buyers or homeowners needing a home mortgage with a direct lender with no overlays can contact The Gustan Cho Team at Loan Cabin at 262-716-8151 or text us for faster response. Or email us at gcho@loancabin.com. We are available 7 days a week, evenings, weekends, and holidays. The Gustan Cho Team at Loan Cabin Inc. has no lender overlays on government and conventional loans.